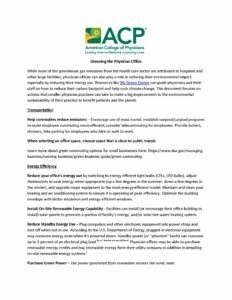 Click on the below links or images to access documents made available by the American College of Physicians. 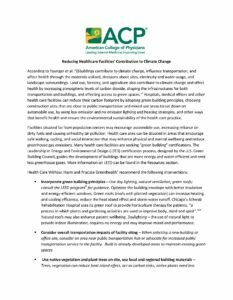 Greening Your Office – This document focuses on actions that smaller physician practices can take to make a big improvement to the environmental sustainability of their practice to benefit patients and the planet. 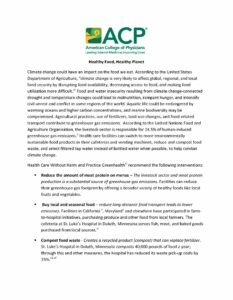 Healthy Food, Healthy Planet – Health care facilities can switch to more environmentally sustainable food products in their cafeterias and vending machines, reduce and compost food waste, and select filtered tap water instead of bottled water when possible, to help combat climate change. 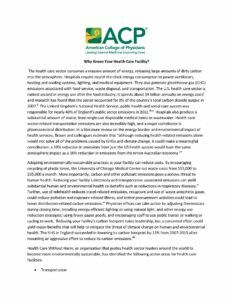 Reducing Healthcare Facilities’ Contribution to Climate Change – Hospitals, medical offices and other health care facilities can reduce their carbon footprint by adopting green building principles, choosing construction sites that are close to public transportation and mixed-use areas to cut down on automobile use, by using low-emission and no-emission lighting and heating strategies, and other ways that benefit health and ensure the environmental sustainability of the health care practice. 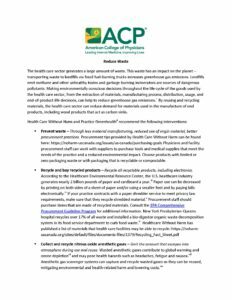 Reduce Waste – Making environmentally conscious decisions throughout the life cycle of the goods used by the health care sector, from the extraction of materials, manufacturing process, distribution, usage, and end-of-product-life decisions, can help to reduce greenhouse gas emissions. 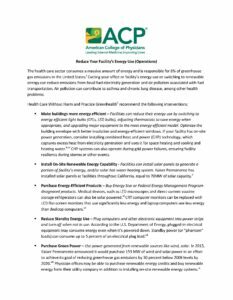 Reduce Your Facility’s Energy Use (Operations) – Cutting your office or facility’s energy use or switching to renewable energy can reduce emissions from fossil fuel electricity generation and air pollution associated with fuel transportation. 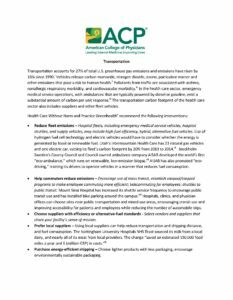 Transportation – In the health care sector, emergency medical service operations, with ambulances that are typically powered by diesel or gasoline, emit a substantial amount of carbon per unit response.iv The transportation carbon footprint of the health care sector also includes suppliers and other fleet vehicles. 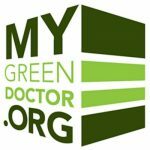 Why Green Your Health Care Facility? It is imperative for the healthcare sector to become more environmentally responsible. Hospitals and health systems produce an astonishing 11.7 thousand tons of waste each day. For background information and step-by-step guidance needed to reduce, reuse, recycle and segregate waste more effectively, visit the Healthier Hospitals Initiative page on using less waste.